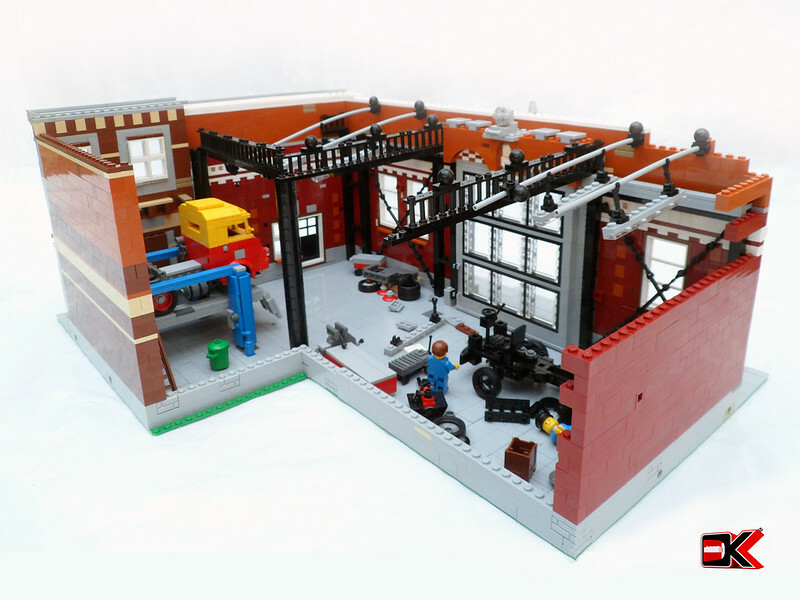 When the Eurobricks “LDD/LDraw 2014: Build Your Dream Home” contest was announced, I immediately thought we’d be seeing lots of grand mansions, castles and palaces. But marv has set the bar pretty high with something quite unconventional – the mobile home, or more appropriately in this case the “Expedition Truck”. This truck just screams freedom and adventure to me. But at the same time, you can let loose in style and comfort! There’s even room for the motorbike at the back. Head over to Eurobricks to see a few more shots of marv’s awesome Expedition Truck. You can also grab a copy of the LXF file while your there and make your own! When I see the name Konajra against an MOC I go have a look because I know I won’t be disappointed. This one is no exception. This garage was built for the cute yellow and red truck you can see in the second image. While the truck is impressive in its own right, the garage is definitely the stand out for me. I love the choice of colours, the semi-industrial facade and the integration with the townhouse. 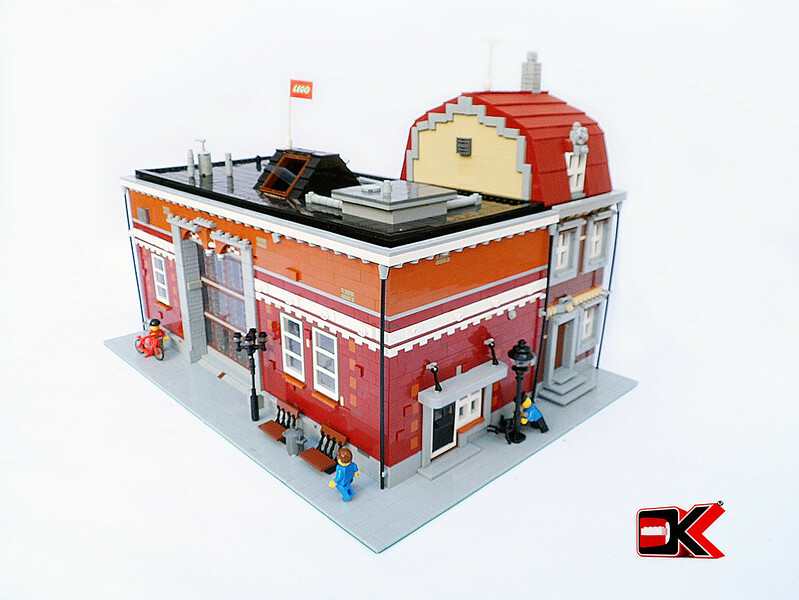 Check out Konajra’s flickr stream for more angles as well as an earlier version of the Garage. Don’t forget to check out Konajra’s stunning MOC ships while you are there.